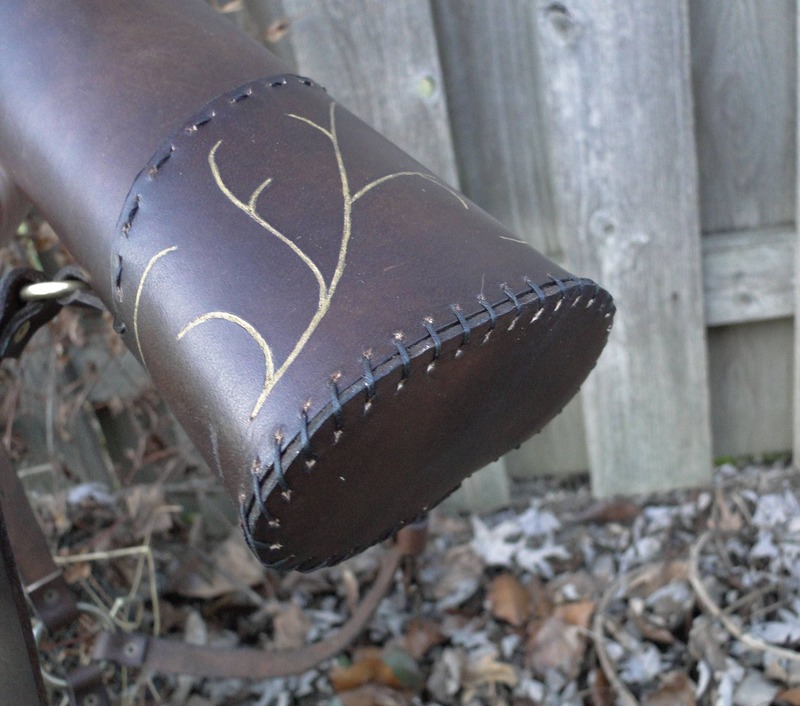 Beautiful Elven leather quiver, designed with a curved top and flowing antique gold vein details. 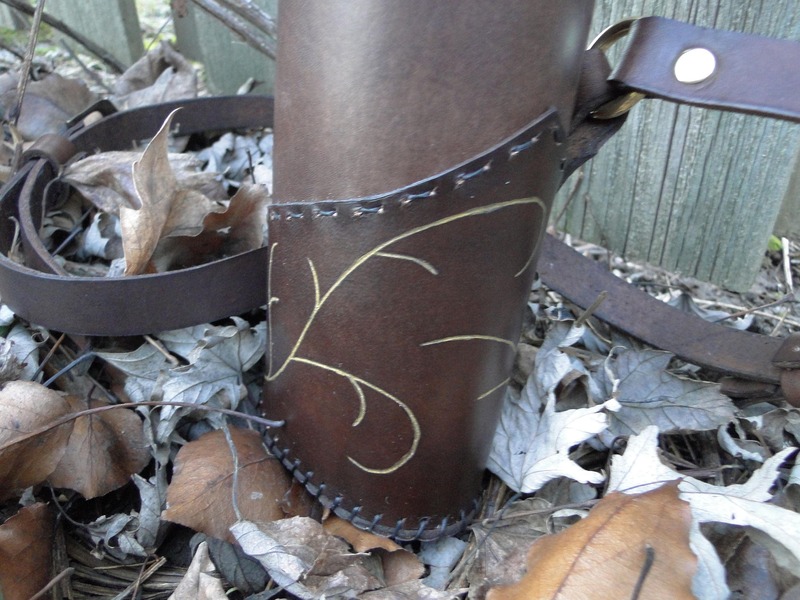 Great for costumes, Renaissance Fairs or regular archery. Made with high quality sturdy cowhide leather. 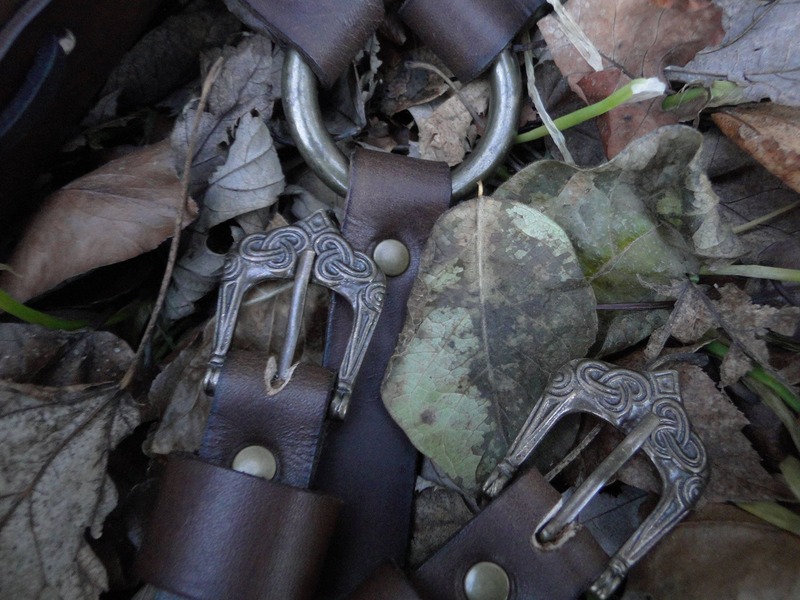 Completely hand sewn, features Celtic knot antique brass buckles. Dyed and sealed against the weather. 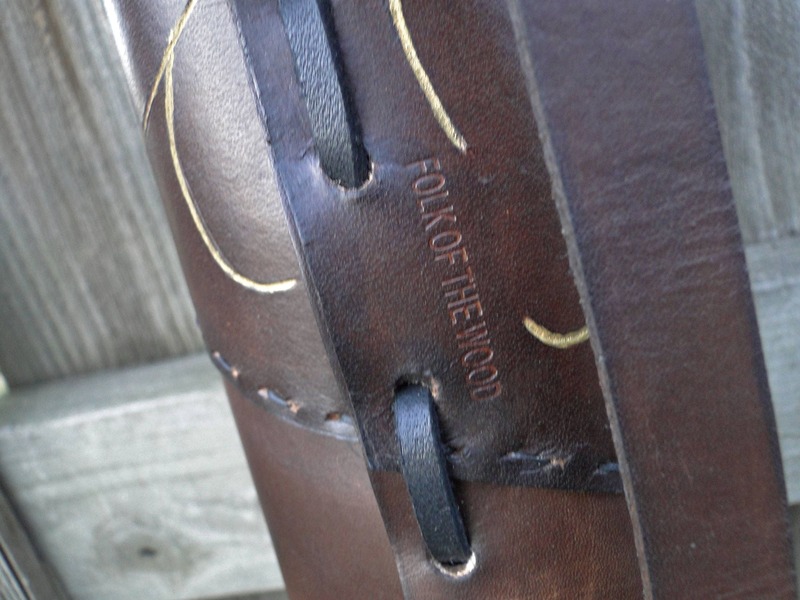 3 point strap location holds quiver securely & straighter on your back. Can be adjusted to fit men or women, choose your size at checkout. Can hold up to 15 arrows easily. 21" tall at tallest point. 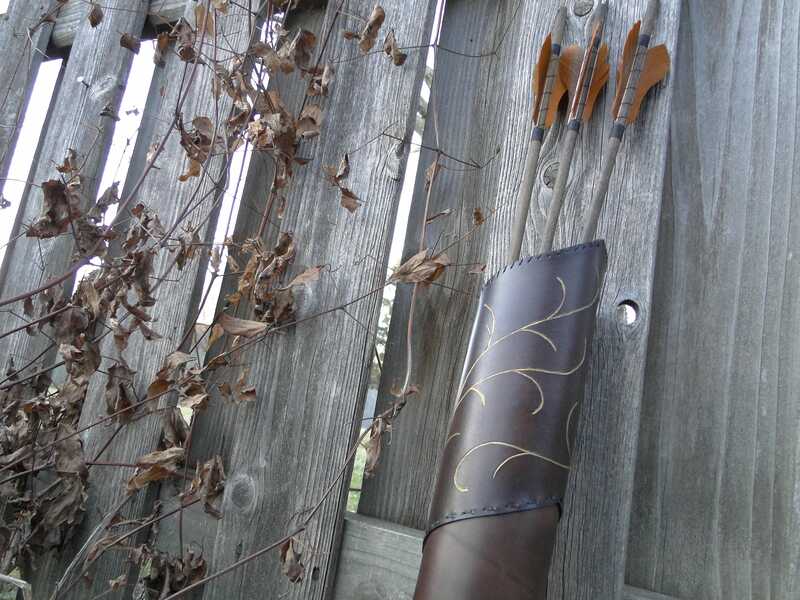 - Currently this quiver is only available for right handed archers, in brown w/ gold. However, left handed, and black w/ silver will be available by request in the future. 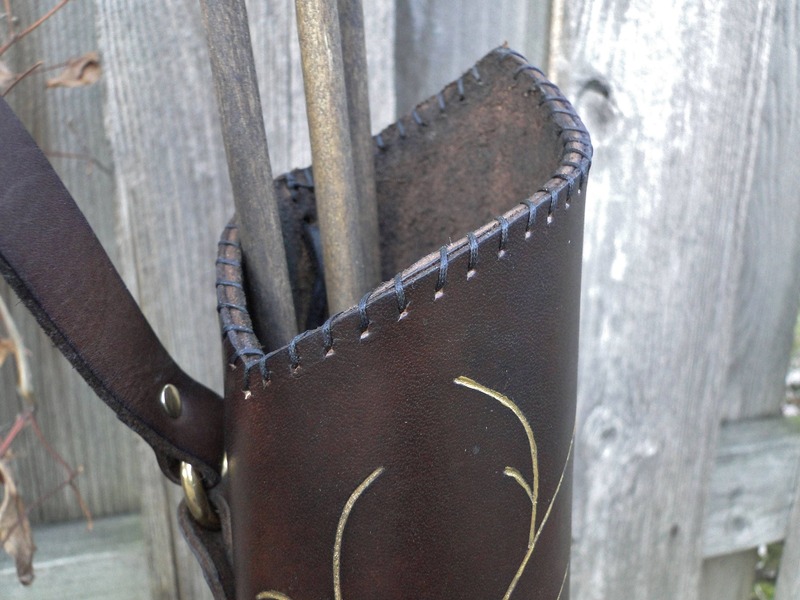 Right handed, you draw your bow with right hand, quiver will sit on your right shoulder. Left handed, draw with left, sits on left shoulder. These quivers can handle metal 'target' or 'field' point arrow tips, but they should not be used with 'broadhead' hunting arrow points. 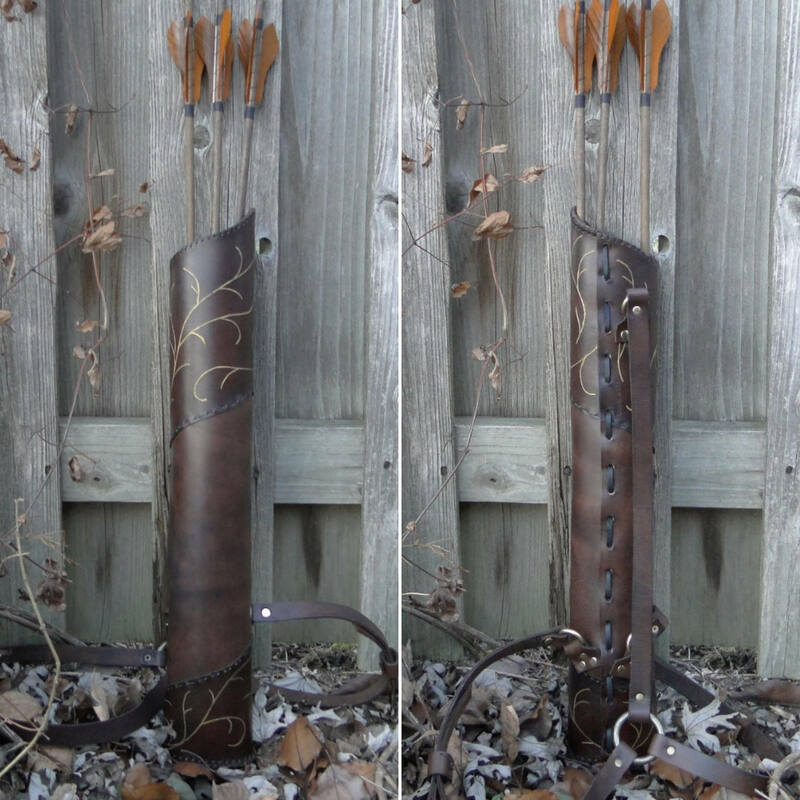 We have lots of archery accessories available, visit our shop!